It bolts directly between the exit of the catalytic converter, and the inlet of the rear silencer on Civic 1.4 & 1.6 PETROL engined 3 DOOR hatch models built in the period October 2002 - September 2005. 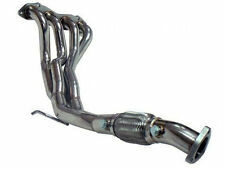 HONDA CIVIC EP3 TYPE R STAINLESS STEEL RACING HEADER MANIFOLD DECAT DOWNPIPE 4-2-1. Complete race manifold to maximise performance on the ever popular EP3 Honda Civic Type-R. 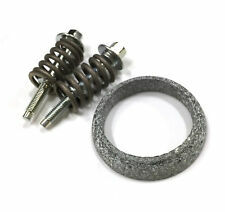 Fits Honda Civic EP3 Type R 2001 - 2005. HONDA Civic Exhaust Gasket. HONDA Civic 2.0i Cat Type R 16v Hatchback 1998cc (147 kW, 197 HP), Eng:K20A2. OBD 04/2002-2005. HONDA Civic 2.0i Cat Type S 16v Hatchback 1998cc (118 kW, 158 HP), Eng:K20A3. Buddy club exhaust DC5 Honda Integra Type R . Condition is Used. Collection in person only. Center pipe has a large scrape see pictures. Hornet Honda Civic Hatchback Backbox - 3" Round (76.2mm) Tailpipe. Aluminised Steel parts are then coated with high temperature exhaust paint for maximum protection. All of our products include a 2 Year Manufacturers Warranty. Honda Civic Type R Large Bore Debox Race Pipe. Although this looks cool when it is on the shelf, as soon as you fit the exhaust and out any heat through it the paint will start peeling off. Silencerless middle section for the Honda Civic Type R. Large bore for free flow. Jap speed headed. Here for sale is my full exhaust system I bought for my civic type r when I’d had the plan to mod and map it. So it’s up for grabs! I got it and was going to match it up to a K24 engine. but you may have better ideas! Honda Civic EP3 Type R M2 Catback with Unsilenced centre pipe. Fits both prefacelift and facelift ep3s. This is a loud system but does sound great throughout the rev range but it can be droney so just take that into consideration. 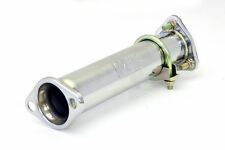 Honda Civic Hatch 1991-1995 Performance Exhaust Race Tube. and the tailbox on the following Honda Civic models. NOTE: THIS 'RACE TUBE' IS SUITABLE FOR USE WITH ANY STANDARD OR PERFORMANCE TAILBOX USING THE ORIGINAL HONDA FIXING POSITION. Exhaust Conical Gasket. HONDA Jazz 1.2,1.4 Cat Hatchback 1246cc (57 kW, 78 HP). 1339cc (61 kW, 83 HP). OBD 11/2001-09/2008. HONDA CR-V 2.0i Cat 16v 4WD, SUV 1973cc (92 kW, 126 HP). 1973cc (108 kW, 147 HP). Includes new bolts and springs and fire ring Gasket. Honda Civic D14, D15 & D16 1.4l, 1.5l & 1.6l engine 1988-2000 models. Mandrel Bent T-304 Stainless Steel. Gain more performance due to more air flow. Buy more and Save more. Your Location. Parcelforce Global Priority. High Performance Manifold to Down Pipe exhaust gasket for. Honda civic. This Gasket is made from Perforated steel which allows the gasket. Replace your old gasket with one of our High quality gasket. Twin 3" round tailpipe design, 2.5" pipework. Looks and sounds great with deeper, louder than standard bass exhaust tone. Back pressure is reduced producing power gains. Engine - K24A3. Save money replacing your old worn out front pipe, down pipe or cat pipe with this flexi pipe. It can also absorb sound and vibration. This flexi can withstand temperatures of over 700 degrees. Greddy Back Box it was on a 04 Honda civic Sport . Condition is Used. Whole car has been broke. 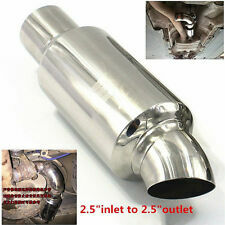 THIS ITEM IS NEW, HIGH QUALITY STAINLESS STEEL EXHAUST PIPE MUFFLER. HONDA CR-V. TOTAL LENGTH- 13 CM. 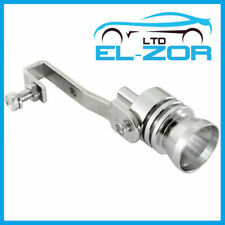 SIZES,FIXING END = 7.5 CM.EXHAUST OUTLET END= 10.3 X 7.7CM. Save money replacing your old worn out front pipe, down pipe or cat pipe with this flexi pipe. It can also absorb sound and vibration. This flexi can withstand temperatures of over 700 degrees. Exhaust flexi front repair pipe. Plea se note, fittings are NOT included such as gaskets central clamp or bolts etc. Tailpipes are not included, it is possible to fit with standard tailpipes. They sound great with deeper, slightly louder than standard bass exhaust tone. Race Spec T3 Turbo Conversion Manifold. Supplied with a T3 turbo flange. Northern Ireland - AB31-AB56, IV40, IV54, IV63, KW1 - KW14 INC Orkney Islands, PA21 - PA38, PH4 - PH50, HS1 - HS9, All Western Isles, IV41 - IV51, IV55, IV56 SKYE, KA27, KA28, KW17, PA20, PA41 - PA78 Inc Shetlands, Isle of Scilly, Guernsey, Isle of Man, Isle of Wight. T3 Turbo Conversion Stainless Steel Ram Horn Manifold Fits Honda Civic B16 B18. Race Spec T3 Turbo Conversion Manifold with V-Band Wastegate Flange. Supplied with a T3 turbo flange. This high quality stainless steel manifold is designed for optimum gas flow, so your exhaust gases will exit the turbo faster which in turn will increase your spool up speed and improve your throttle response. M2 HORNET HONDA CIVIC SPORT EP2 EXHAUST BACK BOX WITH BUNG. FITS: EP2 ONLY. The M2 system has been designed so the user can it fit direct to their OEM centre section allowing future upgrades; the backbox has been designed to have the largest available tubing without knocking on the rear anti roll bar. MODEL YEAR : Civic Type R - Type S 2.0. COLOUR : Polished. SIZE : 2.25" With 100mm Tail. SPECIFICATION : Rear Muffler. This exhaust manifold fits the Honda Civic with the D series-engine fitted. The whole manifold has been TIG welded so the chances of this ever failing are virtually zero. With over 15 years’ experience in the automotive and car parts industries, we’ve developed a range of exhaust, chassis, cooling and racing components that promise to fulfil the very limits of your vehicle’s capabilities. 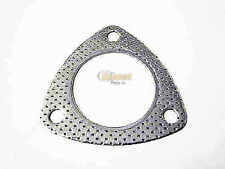 Exhaust Conical Ring Gasket Honda Stream Vauxhall Vectra. VAUXHALL - VECTRA (B) Estate - 1.6 i 16V (1996 - ) 74 kw | 100 HP | 1598 cc. HONDA - STREAM (RN) - 2.0 16V (2001 - ) 115 kw | 156 HP | 1998 cc. Honda integra dc5 titanium backbox Came from a fresh import dc5. Fits to oem exhaust. Sounds incredible. Honda Civic EP1: 2001 - 2006 (1.4i). Honda Civic EP2: 2001 - 2006 (1.6i). M2 Motorsport Performance Muffler. Straight Through non silenced centre section To Fit. 304 Polished Stainless Steel.